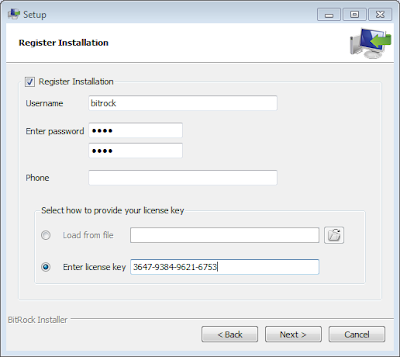 InstallBuilder 8 is now available! This new version adds several new features to further streamline the installer development process and allows you to build more flexible and sophisticated cross-platform installation processes. A new, integrated debugger lets you identify and correct issues as you develop and an expanded component system allows downloading components on the fly and adds support for sub-components. See below for more details and download InstallBuilder 8 to check out these new features for yourself! 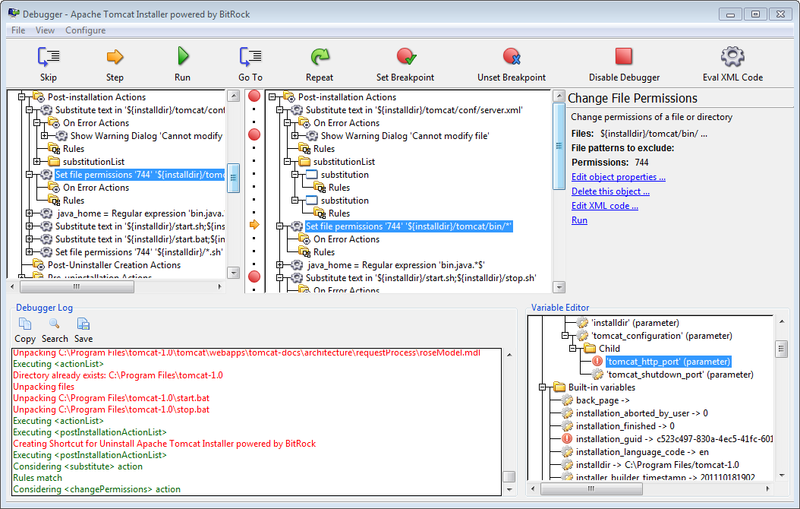 The new InstallBuilder debugger makes it easier to identify and correct issues during the development process. It allows you to view and interactively edit installer variables at runtime, provides step-by-step execution to test that specific parts of the installer are functioning properly, allows recovering from unexpected errors during the installation process and more. A complete guide to using the debugger is now included in the InstallBuilder documentation. Expanded component functionality now provides support for downloadable components and component groups, including support for subcomponents. Downloadable components will be downloaded at runtime only if the user chooses to install them, reducing the size of installer downloads. The new component system allows you to group individual components and build feature sets that will be displayed in a tree structure ("subcomponents".) 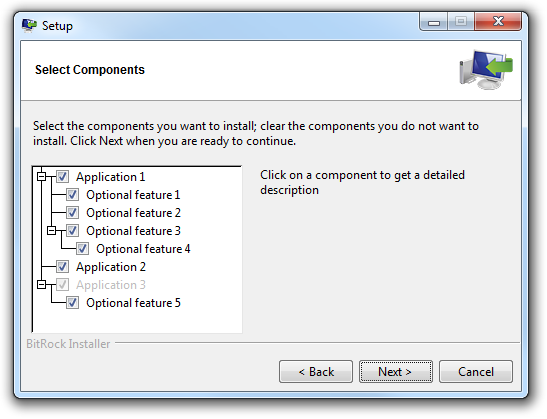 It also allows users to add and remove specific components from existing installations. Enhanced parameter support makes it possible to create dynamic pages that will be automatically reconfigured based on user's input. This allows you to create a more customized and streamlined installation experience for users. In addition to the above improvements, we have also expanded the InstallBuilder documentation. We now offer over 350 pages of InstallBuilder documentation that not only describes every feature, but also provides sample code for a wide variety of installer functions, such as bundling a Java runtime, detecting pre-requisites on the system, offering basic and advanced installation modes and more. Download InstallBuilder 8 to see how easy it can be to build powerful and dynamic cross-platform installers for your software!